With the start of the V8 Supercars season kicking off next week at the Superloop Adelaide 500, Bendix are pound to be displayed proudly on the No. 55 Supercheap Auto Ford Mustang driven by Chaz Mostert. A strong partnership that will span the 2019 season. “We at Bendix are extremely proud to partner with Supercheap Auto Racing in the upcoming Supercars season,” said George Kyriakopoulos, CEO of Bendix. “We have thoroughly enjoyed our relationship with Supercheap Auto, and it is very exciting to be a part of this extremely professional racing team”. “Bendix offers a braking product that allows you to ‘put your foot down with conﬁdence™ and there is no doubt that Chaz will be doing a lot of that as he heads for the podium in 2019” George said. Now in their 22nd year of involvement in the V8 Supercars Championship, Supercheap Auto Managing Director Chris Wilesmith is also pleased with the partnership that aligns Australia’s leading automotive friction material manufacturer with Australia’s premier motorsport category. Mostert enters the 2019 season optimistic, having ﬁnished the previous campaign with a string of top ﬁve and top ten ﬁnishes, including a dominating win on the streets of Gold Coast in October. 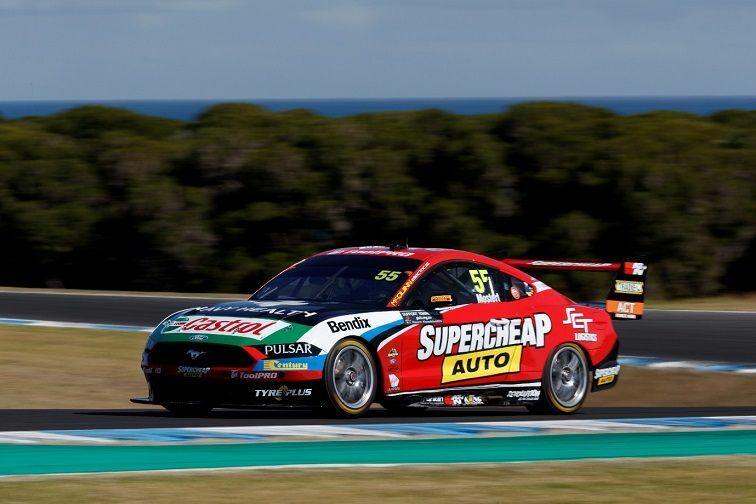 Tickford Racing recently attended the preseason test at Phillip Island on February 14th with its four team-prepared Mustang Supercars, ahead of the 2019 season opening Adelaide 500, February 28 – March 3.